Lucero lead singer Ben Nichols came in the studio on Thursday for the "Sound of Memphis" segment. Ben played an acoustic guitar and Rick Steff was on accordian. They played two songs, both of which are favorites of mine. 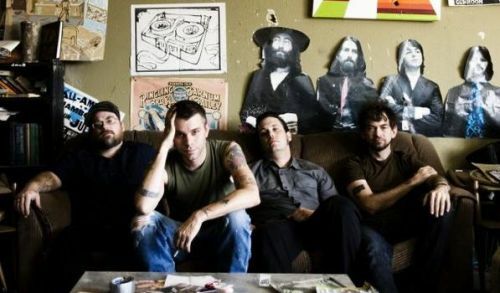 Lucero headlined the Rock 4 Love concert Saturday night at the Hi-Tone.